Extending beyond Chiffon and her solo work, Reid is the founder of a Baltimore Collective called GRL PWR made up of herself, Pangelica, and Waqia Kareem. GRL PWR aims to create a platform for a diverse array of artist and creatives, specifically: womyn identified, POC, trans, non-binary, femme & queer artists. GRL PWR events have brought together artists from across the US for unique and unforgettable events. 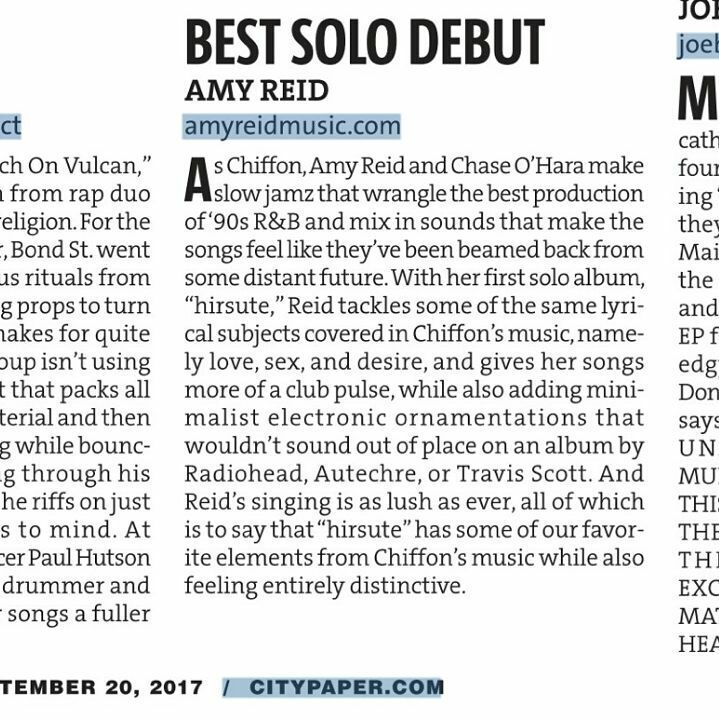 Amy reid "best solo debut"
Baltimore City Paper deems "Hirsute" as best solo debut! Flock of dimes & amy reid @ottobar!